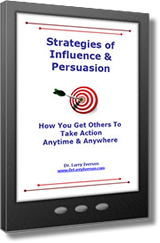 Do you ever wonder how to become more persuasive and influential? Would you like to know how to get people to instantly accept and like you? What if you knew the verbal and nonverbal tactics that immediately give you credibility? Well now you can! You can start using these strategies today to build a winning, commanding presence. Learn how to rapidly get people to believe what you are saying. Know how to deliver a tough message without becoming the “bad guy”. Learn a step-by-step strategy for getting people to like and accept you. Refine your skills of speaking persuasively. Learn what the number one conflict is—and how to rapidly break free of it. 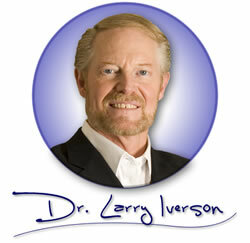 Dr. Larry Iverson will guide you through proven methods that will help you make a positive impact and be more persuasive with everyone you meet.